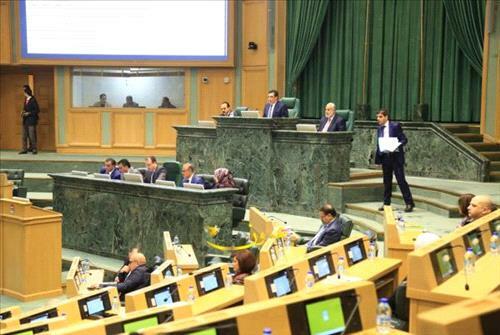 AMMONNEWS - The Lower House of Parliament Tuesday referred a Royal Jordanian (RJ) suspected graft case to the Integrity and Anti-corruption Commission to look into reasons for the airline’s mounting losses and hold those responsible accountable. During today's session, lawmakers approved the recommendations of the Committee on Public Services and Transport, who had conducted a two-year investigation into the RJ activities and business dealings case. In its report, the panel urged further investigation into aircraft lease and selling contracts and to probe the national carrier's administrative and financial matters. It also called for the immediate termination of the services of the current RJ executive director, and reforming the company's board of directors, citing its "incompetence to address current imbalances." The report urged a new approach and comprehensive strategy and abolishing a proposal to sell Royal Wings, an RJ-owned charter company, to the Aqaba Special Economic Zone Authority, and refrain from selling a land plot it owns in a west Amman area. Lawmakers also recommended that the government place RJ under the oversight of the Audit Bureau, help it recover funds deposited with commercial banks in Sudan and offer the carrier tax relief in addition to revisiting contracts signed between RJ and the International Airport Group (AIG).